Ask the Addict: Am I addicted? I really did not think I had a addition until I took the quizÂ becauseÂ I am on Accutane and if I don’t put any on for a few hours my lips crack and bleed and I have always had dry skin on every wear except my face (which is extremliyÂ oily) with onÂ exceptionÂ my lips which wereÂ usuallyÂ dry and I haveÂ dandruffÂ becauseÂ of a dry scalp and a rash becuse my skin is so dry (this started two day affter going on Accutane) and IÂ usuallyÂ forget to put any on until they crack but I put it on a lot and if I lose mine I just have to buy another and I put it on no matter were I am except on stage. So do I have a addition or not? Addictions of all types are not uncommon in the performing arts, so your question is important and timely. The good news is that your acne should fade as you age out of your teenage years, making your skin much more moist and lessÂ susceptibleÂ to dryness and cracking. But, given the issues, it is probably best to talk to your dermatologist about your problems with your acne medicine. Are you addicted? Well, your rambling description might be signs of being “out of it” due to your addiction, or might just be poor grammar. It sounds like you use lip balm only when your lips are really cracked and dry, and once they return to normal you stop using. That would lead me to believe that no, you are not addicted at this time. Oil Glands the Cause of Addiction? 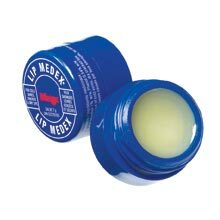 Today someone offered me some lip balm, Â I said no, it’s addictive in my experience. Â They seemed surprised. Â I explained why I thought so. Â I figured I’d look around on the net too, seeing what others thought about this. Â Of course, came across this site and many others dealing with the issue. Â I was surprised not to see anyone mention the reason I had. Â Now, I didn’t read your whole site, or every site of course, so maybe I missed it. The idea about the drying chemicals makes sense. Â But, I think there’s even a more simple reason that could apply to all brands. Â Back in high school my biology teacher said that when you continuously apply oil to your skin, such as with balm, the oil glands will eventually stop producing the normal amount of oil. Â It may take several weeks of discontinued use for things to return to a more normal state. I think this idea explains the addiction very simply. Â Stopping the balm cold turkey, of course, leads to a burning discomfort. Â The discomfort and misunderstanding of how long it may take to heal could lead to a quick reapplication, just keeping the glands dormant. Maybe you already knew this, I just don’t get why I didn’t see it mentioned anywhere on these sites.